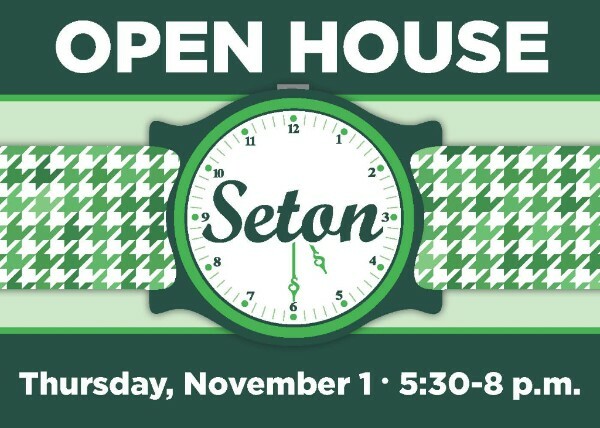 Time is flying at Seton as the first quarter ended yesterday! Students are being challenged in the classroom, working hard and learning the importance of time management. Group projects, PSAT/ACT Test Prep classes continue and the seniors are working on their college applications. The students' display of school spirit was evident during the walk fundraiser, Green Week and everyone’s favorite dance, the Garage Get Down! 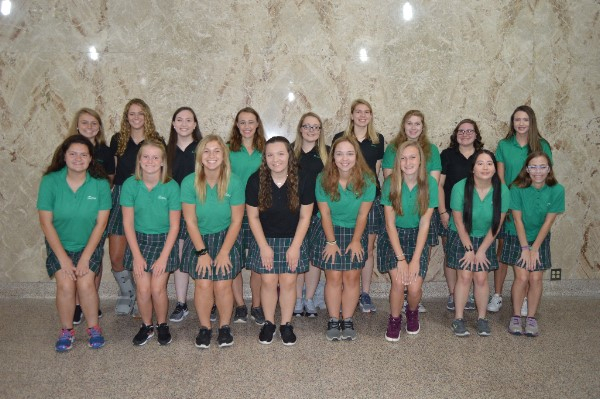 The Seton Sisterhood is evident in these halls and the students continue to impress and inspire us every day. This summer we invested $5M in building renovations and they have made such an impact. In addition to the visual improvements and the energy-efficient upgrades, teachers have reported, on average, of being ahead of their lessons by two weeks compared with last year. With temperatures in the 90s earlier this week, the new AC is a welcomed addition! 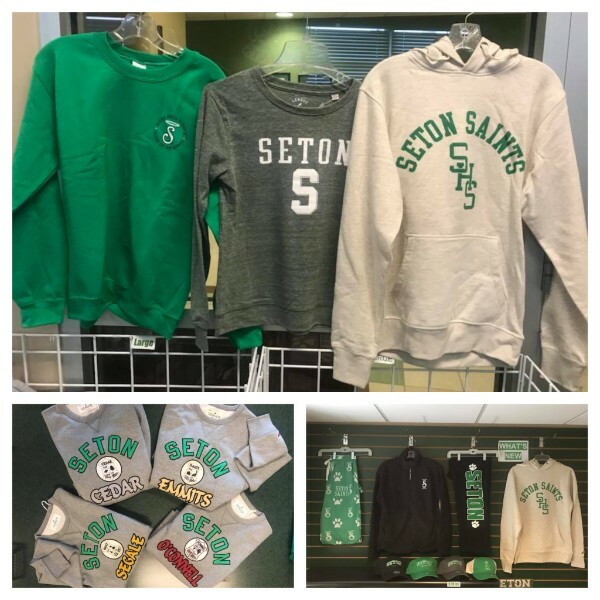 We are grateful to everyone who has donated to Seton 360. Information on the entire project was mailed to all Seton constituents. 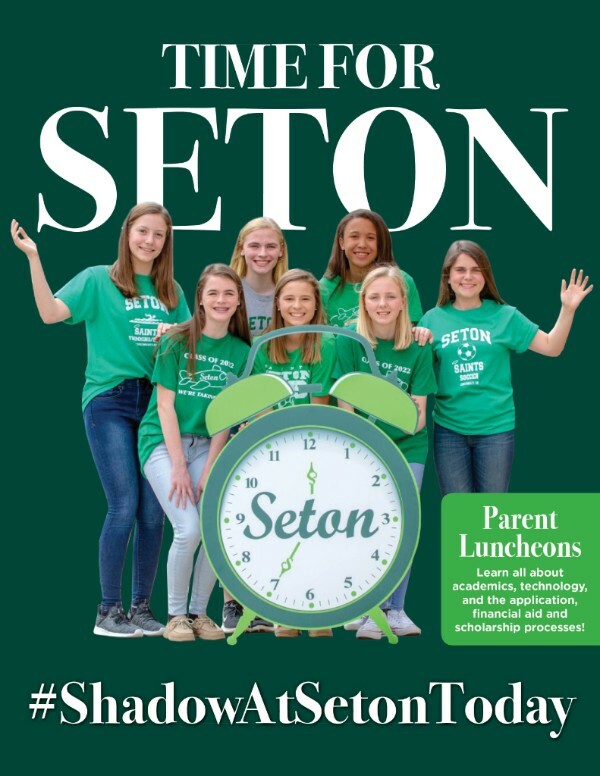 We ask that you prayerfully consider a gift to fund Phase 3 and help continue the Seton tradition of excellence in Catholic education for years to come. We are in the height of recruitment season and the halls have been filled with future Saints on Shadow Days! Our Open House is November 1 and we are looking forward to welcoming parents and students to our school. 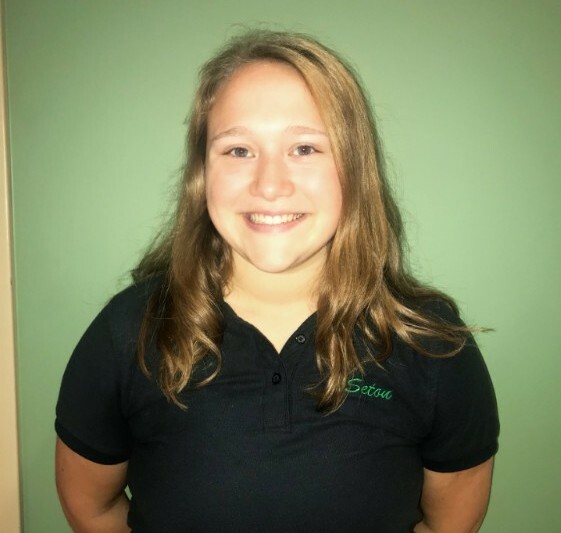 Thank you for all your prayers and support of Seton. Save the date for this year's Thanks a Latte!!! 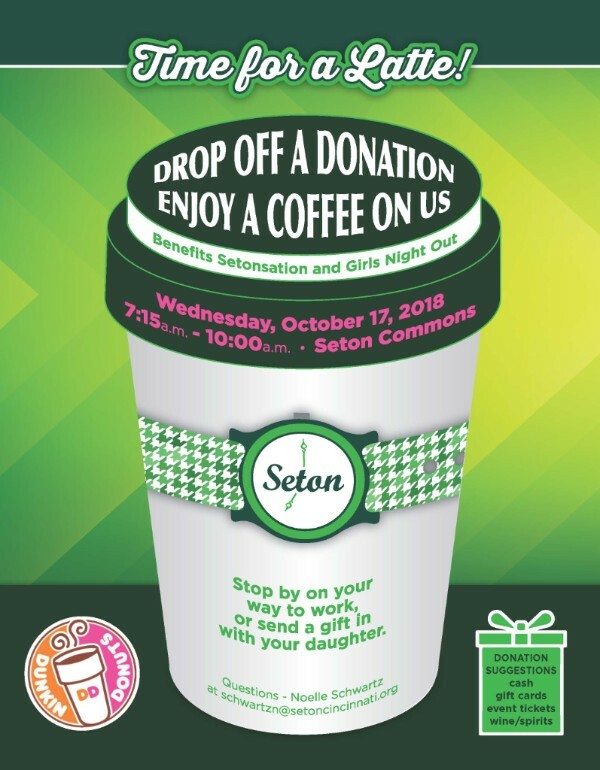 We hope to see you here on October 17 any time between 7:15 a.m. - 10:00 a.m. with a donation for Girls Night Out or Setonsation, and we'll thank you with a delicious Dunkin Donuts hot coffee to go!! An easy way to donate! THANK YOU!! 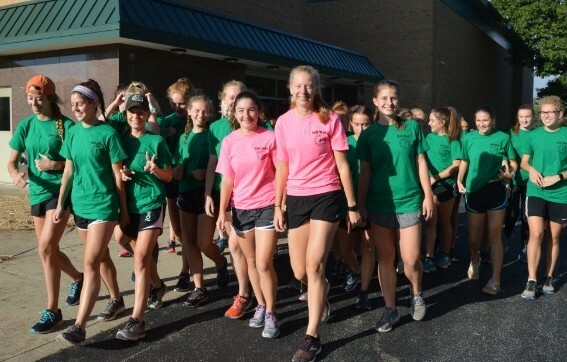 Thanks to our hard working students and the incredible support of the Seton community, our Seton Saints stepped up big time for their 2018 Seton Helping Saints Walk goal by raising over $55,000! We were blessed with a beautiful morning and it was wonderful to have our alumnae, parents, future Saints and friends join us again this year. 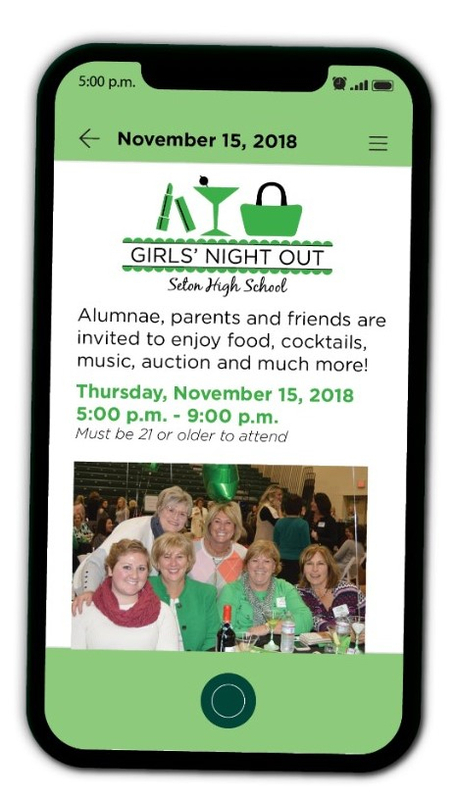 Meet other Seton parents, reconnect with alumnae and celebrate the Seton Sisterhood with food, cocktails, a Kendra Scott Pop-Up Shop and more! 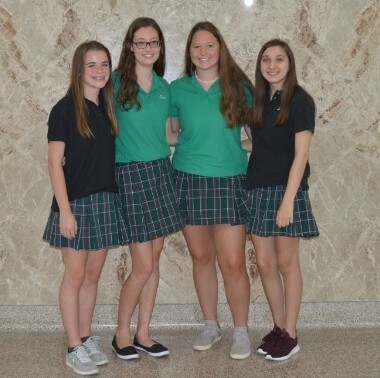 Seton leadership and service scholarship applications are now being accepted for current freshmen, sophomores and juniors for the 2019-2020 school year. Click below to learn more and link to the applications. We are recruiting for the Thirty-One Women, Class of 2023! Learn how you can be part of this great opportunity and sign up today! 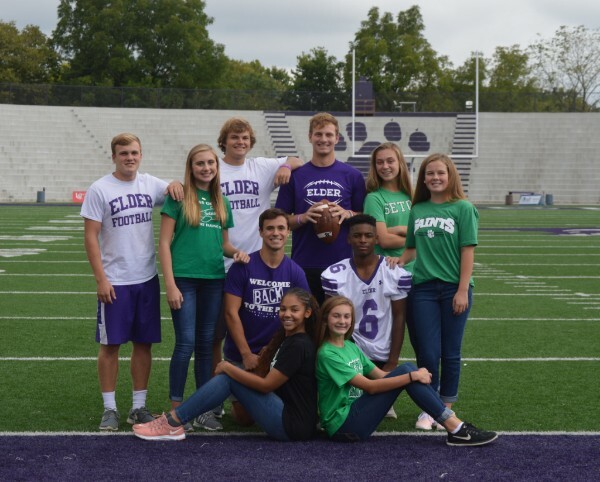 It's time for shadow days, parent luncheons and much more! Learn about academics, technology and the application, financial aid and scholarship process! We are currently looking for classmates to plan reunions for classes ending in '4 and '9. 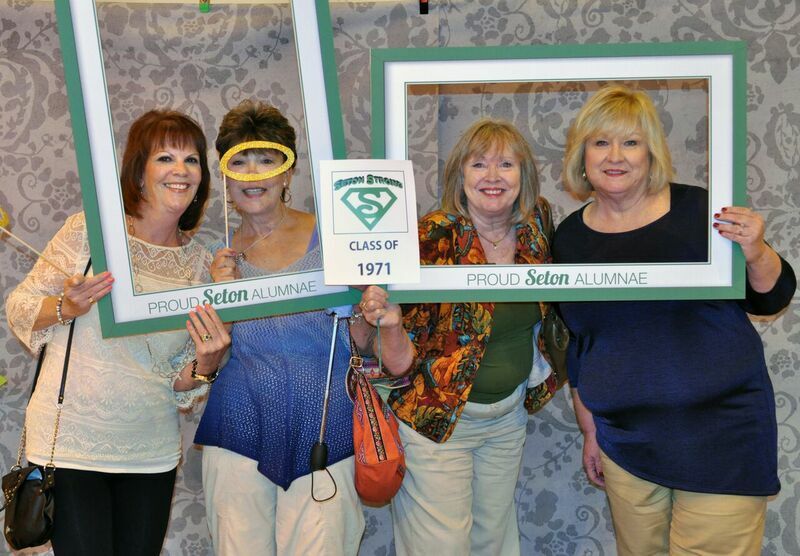 If you are planning your reunion or would like to plan yours, please email mccarthyc@setoncincinnati.org! The first dance of the school year was a big success! 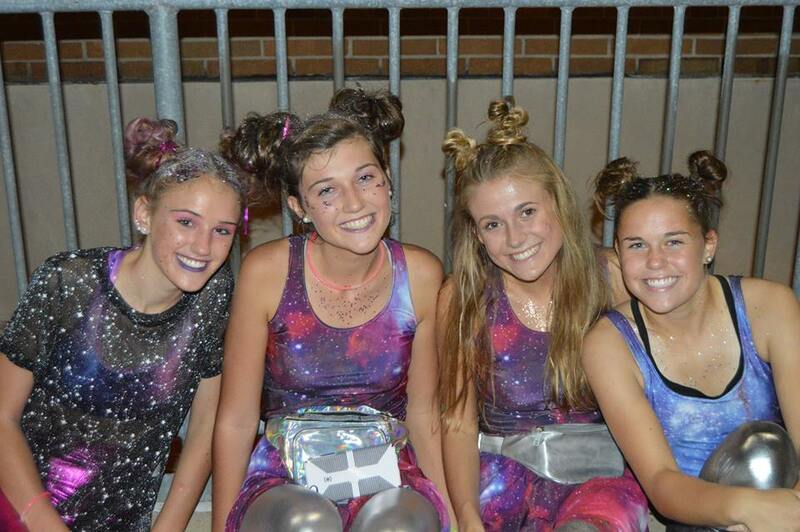 Students were decked out in creative costumes and had a great time at Garage Get Down 2018! 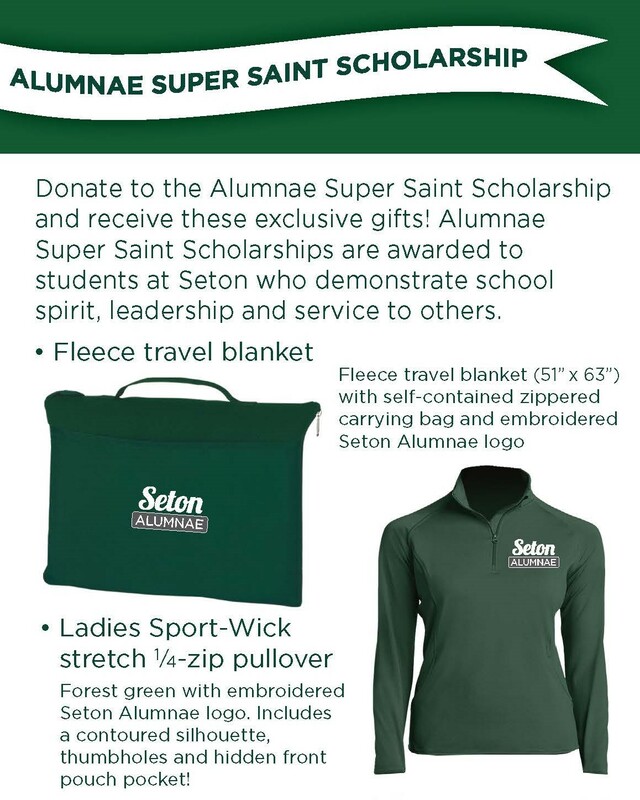 Looking for a small way to give back to a Seton student? Consider giving the gift of a St. Nick Surprise. 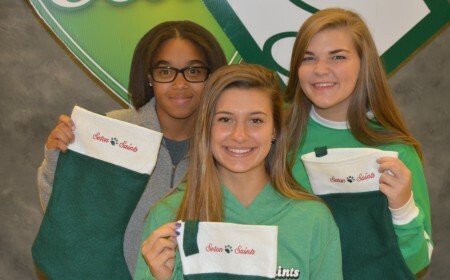 Each year Seton offers the opportunity for Seton parents to purchase a St. Nick gift for their daughters. Consider purchasing one for a student in need. A small gift can bring a big smile!